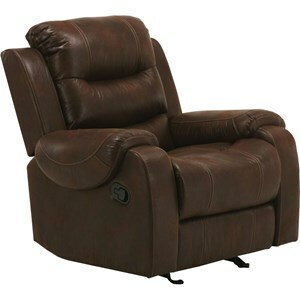 Make moving a breeze with the removable back feature of this recliner. This makes it easy to help this piece fit in your moving truck better, and makes it much lighter to lift. Dread moving day no more with this helpful feature. Recline with ease from either seat of this dual reclining loveseat and enjoy every minute of your time at home. 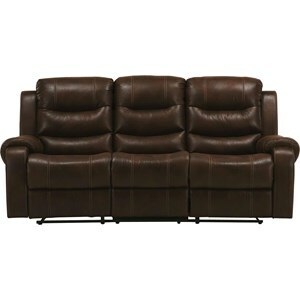 Padded arms provide a excelling place to lean when not reclining and full chaise cushions give you plenty of support. Visible stitching in the seat and upper back add a simple detail to this loveseat. The Brahms Casual Reclining Loveseat with Bustle Back by Parker Living at Hudson's Furniture in the Tampa, St Petersburg, Orlando, Ormond Beach & Sarasota Florida area. Product availability may vary. Contact us for the most current availability on this product. Bring casual style and comfort into your home with the addition of the Brahms reclining upholstery collection. Enjoy the full body support that comes from the heavy padded backs, pillow arms, and full chaise cushions of each piece. Easy-to-use reclining releases will have you kicking back quickly, so you can fully enjoy your evenings at home. 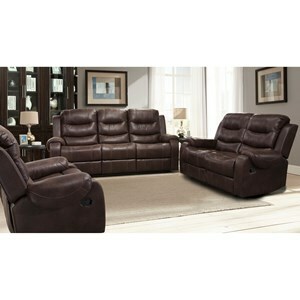 Lift chairs, glider recliners, dual loveseats, and dual sofas make up this collection of reclining pieces. The Brahms collection is a great option if you are looking for Casual furniture in the Tampa, St Petersburg, Orlando, Ormond Beach & Sarasota Florida area. Browse other items in the Brahms collection from Hudson's Furniture in the Tampa, St Petersburg, Orlando, Ormond Beach & Sarasota Florida area.